Kaya wandjoo, hello and welcome, to the Carrolup Digital Message Stick. We hope that through sharing this collection of artwork and their story, we can begin to understand the sadness of the past and be inspired to work together to achieve healing and enduring reconciliation. The Herbert Mayer Collection of Carrolup Artwork is a unique collection of 122 artworks created by Aboriginal children of the Stolen Generations in the late 1940’s at the Carrolup Native Settlement in Western Australia’s Great Southern region. This is the story of those artworks. Since European settlement, Noongar people suffered increasing displacement from their traditional country – land that had sustained them materially and spiritually for thousands of years. Across the Great Southern region of Western Australia, the erosion of Aboriginal culture is inextricably linked to the displacement of Noongar people from the country of their ancestors – their boodja. The 20thCentury heralded a regime of unprecedented government control over the Aboriginal population, culminating in the tragedy of the Stolen Generations– notable for the removal and isolation of Aboriginal children from their families. These children were denied access to their culture, language and history and subjected to institutionalised programs of assimilation into the dominant culture. 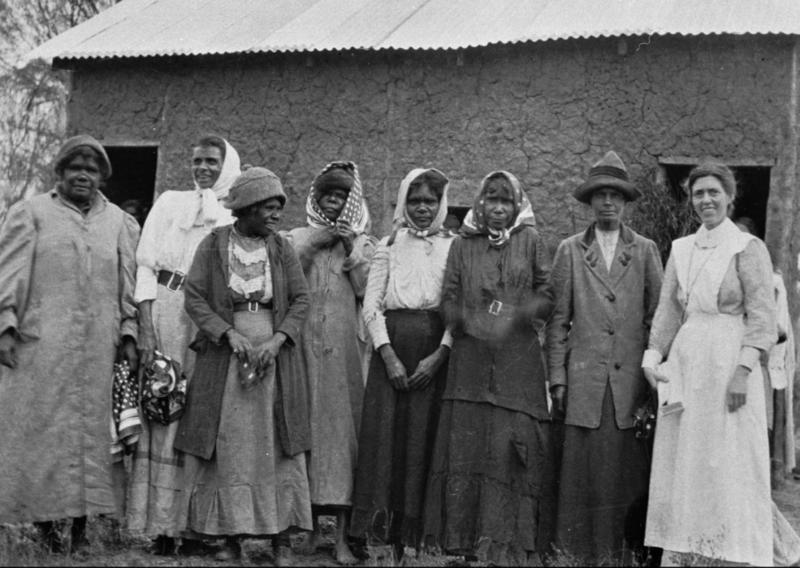 The Carrolup Native Settlement was established near Katanning in 1915 when the Government’s policy of segregation, through the The Aborigines Act of 1905, was being enforced. Later, the policy became one of assimilation, notable for escalating the devastating practise of forcibly removing Aboriginal children from their families. These children of the Stolen Generations were raised in institutions designed to educate and socialise them in ways that denied them access to their own Aboriginal families, culture, language and history. 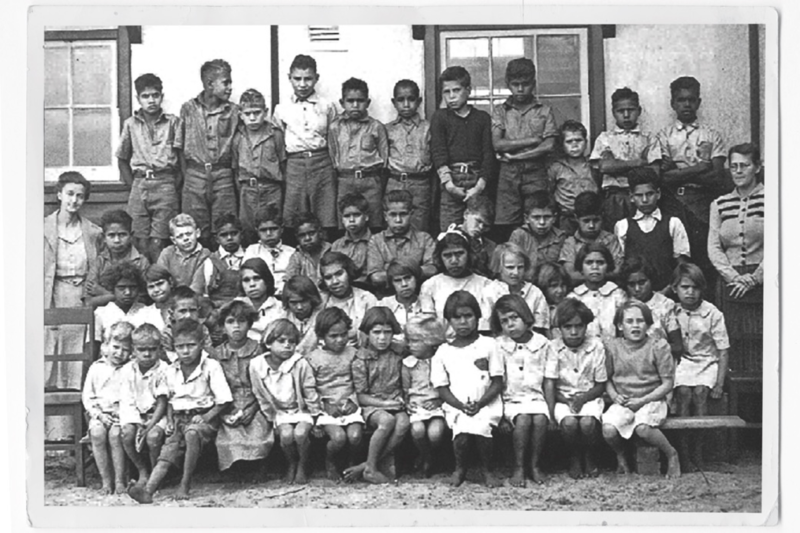 Carrolup Native Settlement school students, 1945. What is generally referred to as Carrolup Art can be traced back to these earliest artworks produced by the children at the Carrolup Native Settlement between 1946–1951. When the responsibility for educating the children of Carrolup was passed on to Noel White and his wife Lily in 1946, the seed was sown that would yield an astonishing blossoming of culture – remarkable for its miraculous appearance and significant for its impact on subsequent generations. Dismayed at the desperate living conditions of the Aboriginal children in the Settlement, Noel and Lily White set about improving the children’s lives in whatever ways were possible. Noel would look after the older boys, 7–14 years old and his wife Lily looked after the girls and the younger boys under 7 years of age. Noel White soon realised that art was the key and would take the boys out on ‘rambles’ through the nearby bushlands keen to help the children simply observe their surroundings. The only advice he gave them was to draw what they could see. If Noel and Lily White are rightly credited with nurturing these artworks through their dedication to the student’s well being – then visiting British philanthropist Mrs Florence Rutter, must be credited with bringing the art of Carrolup to the attention of the world. Compelled by the artworks being produced by the young Aboriginal children, Florence Rutter bought a number of drawings to show and sell to raise funds to assist the children with additional resources. Upon her return to Europe, there were a series of international exhibitions with numerous works being purchased for art collections around the world. 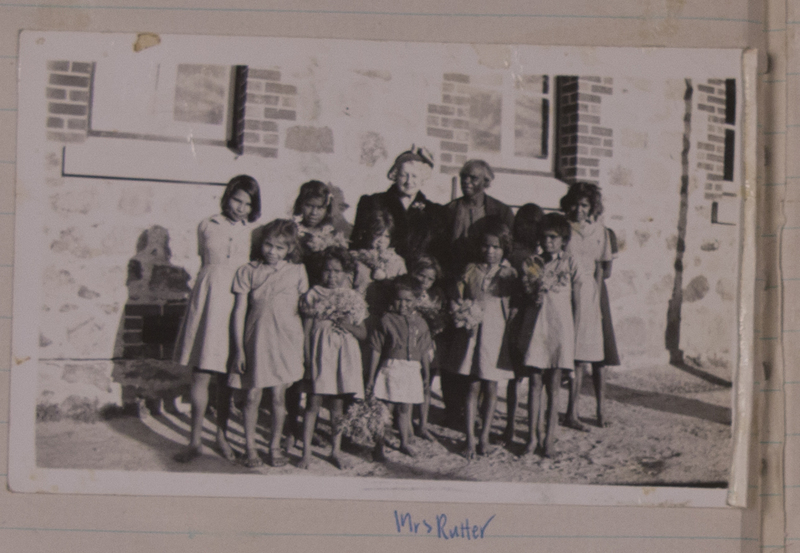 Rutter’s intention was to further resource an expansion of the Carrolup school’s cultural activities to benefit the Aboriginal children as directly as possible. Sadly after little more than three and a half years, Noel and Lily White’s inspiring leadership at Carrolup came to an end with the sudden closure of the settlement school. 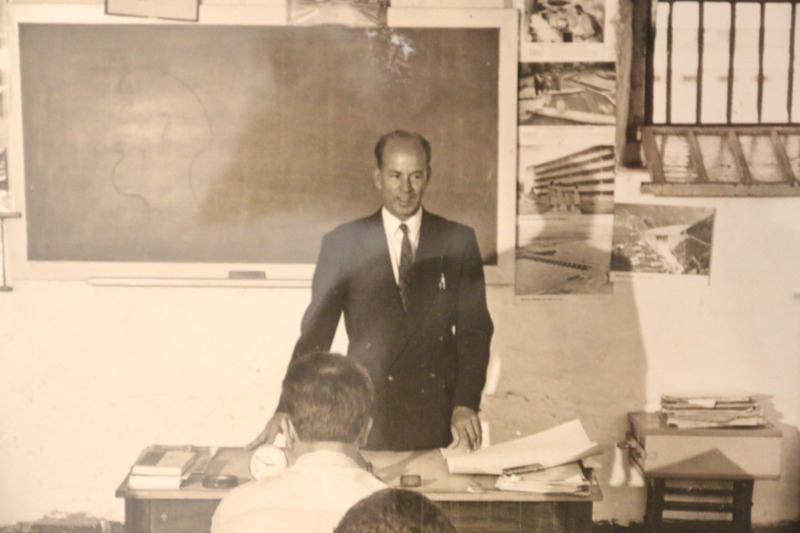 Almost all of the children were then moved on to other institutions regionally and unfortunately very few managed to undertake any further art production beyond their school years at Carrolup. The artworks produced during this brief time at Carrolup 1946–1950 are unique and priceless artefacts of the Stolen Generations and as such provide a glimpse of this dark yet extraordinary period in our history. 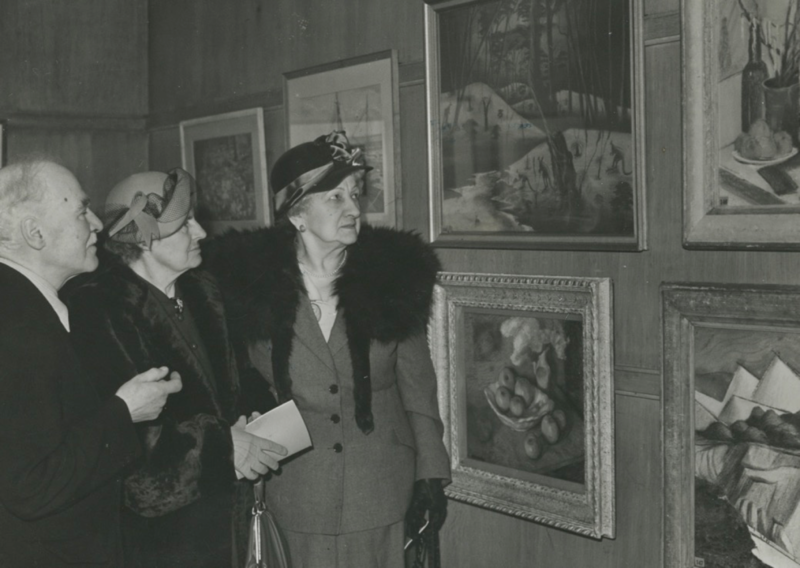 What remained of Florence Rutter’s personal collection of Carrolup artworks in London was subsequently purchased in 1956 by New York art collector Herbert Mayer towards the end of Rutter’s life. Mayer subsequently donated the entire collection to Colgate University in 1966 as part of a much larger donation of artworks. There the collection remained, unrecognised in storage at the Picker Art Gallery at Colgate University, New York, for almost 50 years until it was rediscovered by chance in 2004. This chance rediscovery of a unique historical collection of such profound cultural significance in New York created headlines around the world at the time. 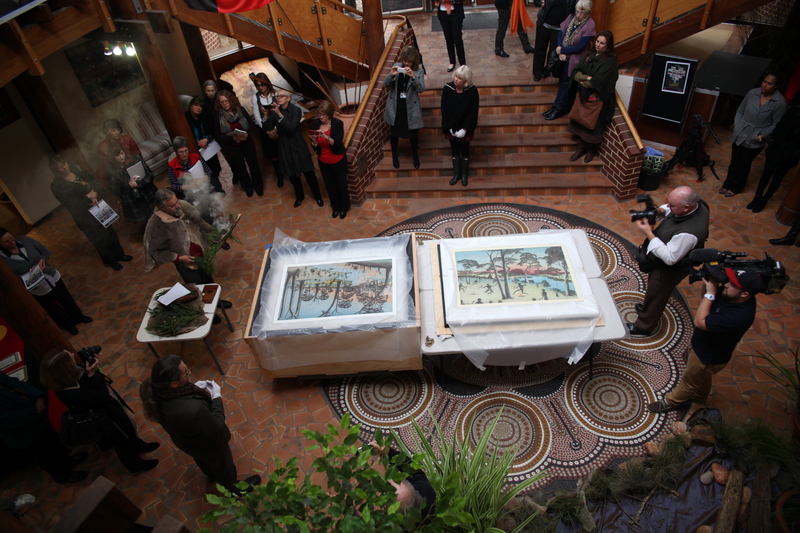 Over 60 years later, and thanks to a shared cultural understanding and respect, the artwork has been generously returned to country. All materials Copyright © Curtin University unless otherwise stated. For use of materials for research or publication please contact John Curtin Gallery who will refer the request to the Carrolup Elders Reference Group for approval.